LONDON, Aug 14 (Reuters) – Chilean copper producer Antofagasta said first-half core earnings fell 16.2 percent from a year earlier, citing weaker ore quality, and said trade tensions clouded the broader market outlook in the short term. Its share price was down by 5.4 percent by 0913 GMT, while the broader sector was 0.8 percent lower. Antofagasta maintained full-year guidance for its own output of 705,000-to-740,000 tonnes, saying it will mine higher grade ore for the rest of this year and into next year. CEO Ivan Arriagada said he still sees strong Asian demand for a metal needed for increased electrification and construction and said Antofagasta is investing in new supplies. It has also restored production at its Los Pelambres operation following a pipeline blockage that disrupted first-half output. The company cited "considerable market uncertainty with the outcome of current international trade negotiations unclear," although it said the longer-term prospects for copper were favourable. Copper prices have fallen by around 15 percent this year, dragged lower by tension between the United States and China over trade and doubts about demand from China, the world's biggest commodity consumer. The board is expected to decide by the end of this year on a $1.3 billion expansion project at its flagship Los Pelambres mine, he said. While the focus is on investing in production, the company has divested power assets as it strives to manage costs. "It is more and more appropriate for third parties to develop infrastructure," Arriagada said, citing its sale of electricity transmission lines announced in July. Analysts Bernstein, which rates Antofagasta "outperform", said in a note it continued to like copper in general and specifically Antofagasta as a copper-focused company poised to benefit from expected strong demand over the medium to long term. It said the main risks were specific to Chile — including options for investment in new supply and labour issues. Antofagasta has successfully concluded contract negotiations with its unions and Arriagada said no more were scheduled until the second half of next year. 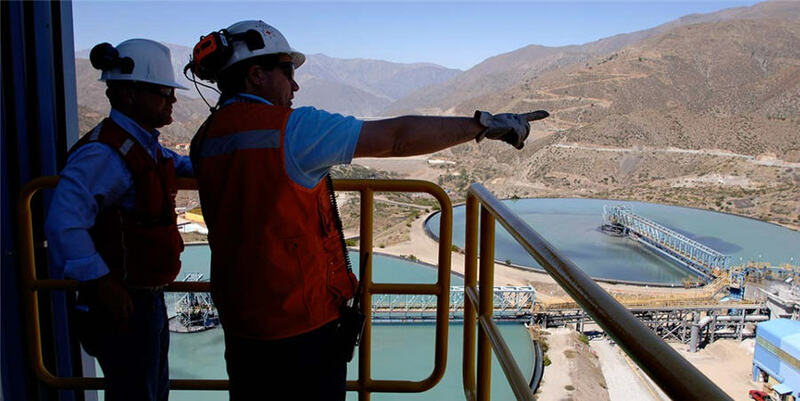 On Monday, the union at Escondida in Chile, operated by BHP, called off a strike planned to start on Tuesday after agreeing to extend talks for another day. Last year, a 44-day strike at Escondida, the world's largest copper mine, jolted markets and eroded Chile's economic growth.